leftovers | "blackberry-eating in late September"
Unless you are feeding a large family, or your small family is a bunch of sauce junkies, chances are if you make something like the velouté I shared last week, you are going to have some leftovers. Mine worked out to just under a cup of sauce (you will probably have a touch more – I oversauced my chicken a bit because I was taking photos of the stream of velvet I was pouring), which was clearly too much to trash but, it seemed, not enough to do much with. True, I could have just warmed it up again and scarfed another cutlet, but that didn’t seem very original. Additionally, this sort of flour-thickened sauce doesn’t always reheat particularly well – think about the resolute globs of leftover Thanksgiving gravy. It was going to need some help. When I thought velouté, I thought pot-pie. However, a mere cup of sauce didn’t seem like enough. Smaller quantities of sauce would require smaller packages. I’ve been tossing around the idea of hand-pies for a while (see what I did there? Yeah. ), and suddenly it became clear that this final bit of sauce would become the base for the filling of pot pie empanadas, spiced up with chunks of cheddar cheese in the crust. I think every culture has a snack food created by enclosing a savory little morsel in a puff of dough. Samosas, gyoza or pot-stickers, pierogies, Cornish pasties, think about it. 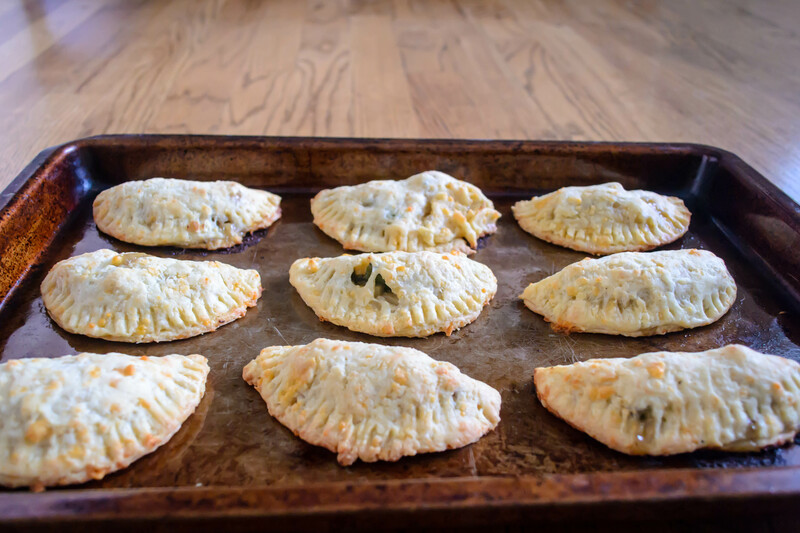 For Spain, and for Central and South American cuisines, empanadas are that snack. A tumble of meat, cheese, and spices (with the occasional vegetable – a few summers ago I had a spectacular one filled with cheese and fresh spinach) wrapped up in a lovely soft dough that is sometimes baked but more often lovingly tipped into the deep fryer: it’s quite possibly my dream food. And here I was about to Americanize it beyond belief. The leftovers of my grad school training screamed things at me about colonization and cultural appropriation, but I swatted them down. It’s improving the classic by acknowledging and incorporating a new angle. Yeah. The dough here is baked, not fried. I don’t have a deep fryer, and to be honest, crammed with cheddar as it was, the crust did not provide the most airtight of seals. I would have been nervous about dropping these into hot oil. There’s nothing to be nervous about when it comes to the taste, though. You can stuff these with whatever you’d like in a pot pie, meats or vegetables. I opted for potatoes, carrots, a few mushrooms, green onions, a breath of garlic, and some green beans that had been in my fridge for a touch longer than they should have. A bit of shredded up chicken breast completed the pot. 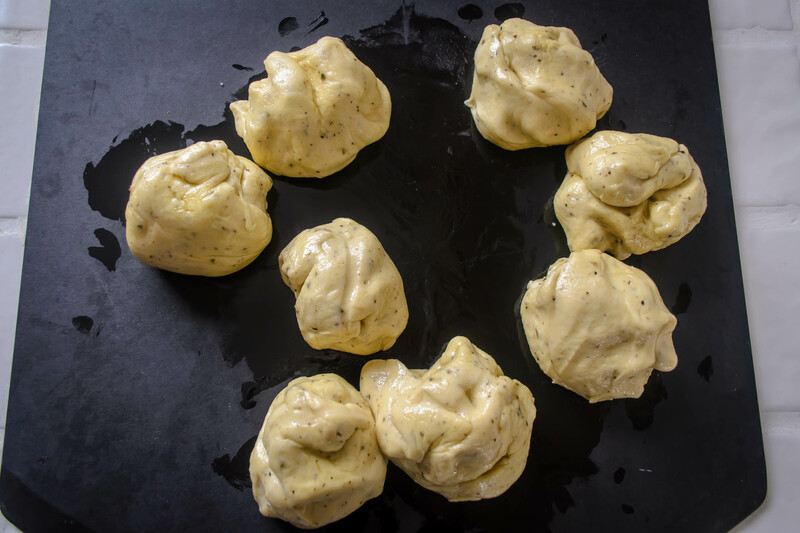 These get cooked in the leftover velouté with a splash of white wine (and a bit of water, if you feel there isn’t enough liquid) until they are tender, then, once they are cool, jammed a mere tablespoon at a time into circles of sticky but pliable dough. 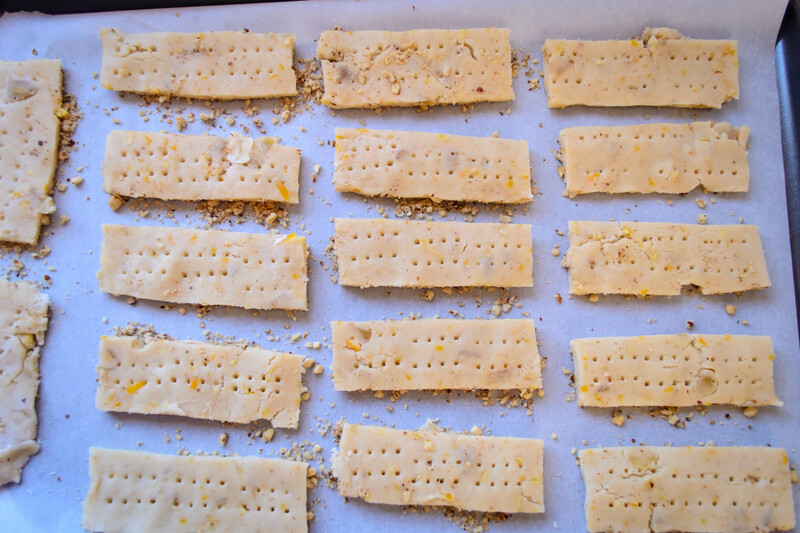 A quick fold, a squeeze, and a crimp with the tines of a fork, and they are ready to bake. I had designs on serving these alongside a salad for a balanced meal, but we never made it to the salad. We just ate these, burning our fingers and our tongues as we picked up one and another and another. These are pot pies for crust lovers. 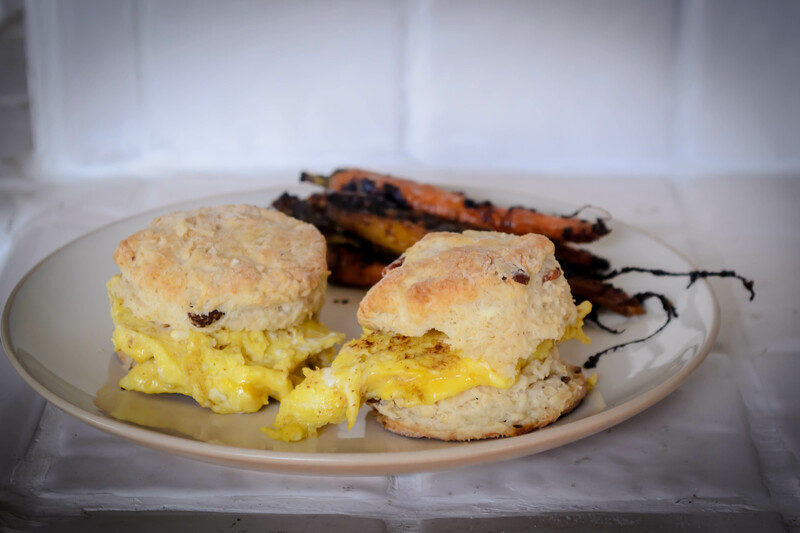 The dough becomes rich and crisp and flaky, and the cheddar cheese is, I have to admit, a bit of a stroke of genius. It’s a perfect little package, and writing about it now, I desperately want another. Sometimes leftovers are better than the original. This, friends, is one of those times. 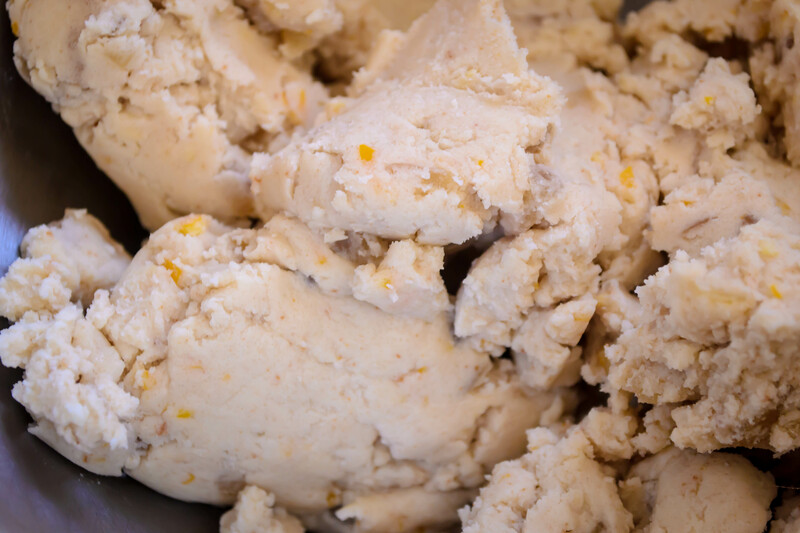 Dump the flour and salt into a food processor and pulse once or twice to mix them. Add the cubes of butter and cheese and pulse 4 times for 3 seconds each. This seems fussily precise, but it worked very well. 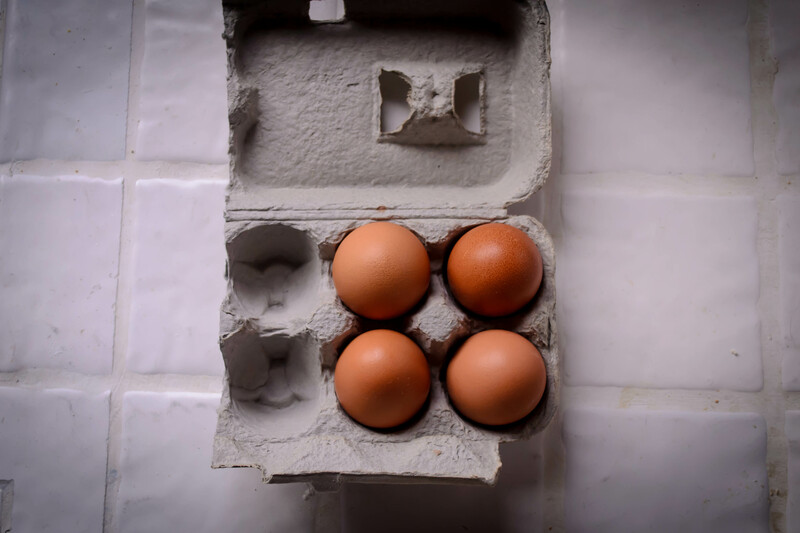 In a small bowl, beat the egg lightly with the water and vinegar. Add to the food processor and pulse once or twice until the mixture comes together in large clumps. You’ll know it’s ready when it stodgily mashes against the side of the processor bowl, reluctant to whiz in circles anymore. Turn this mixture out onto a large square of plastic wrap. Using the plastic wrap to help you, form it into a disc 5 or 6 inches in diameter, then wrap up and refrigerate for at least 60 minutes. 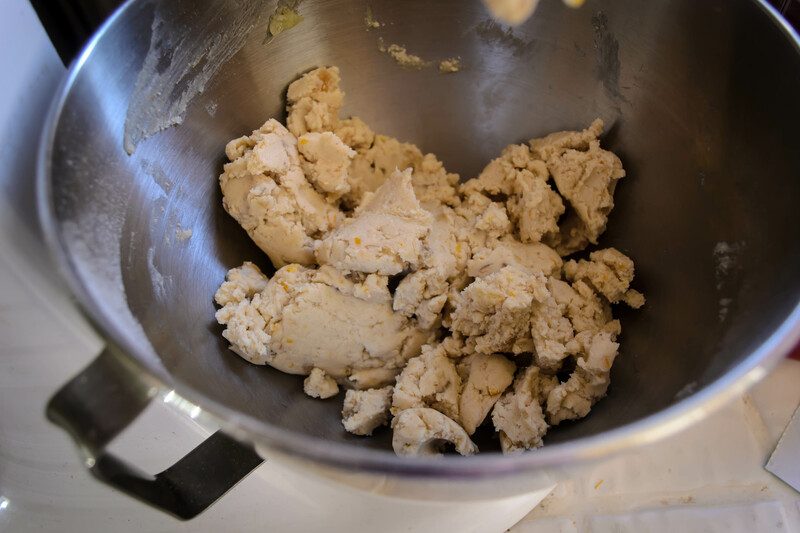 This will allow the flour granules to absorb some of the liquid and fat, which makes for easier rolling, and the butter (and cheese) to firm up again, which makes for better texture. 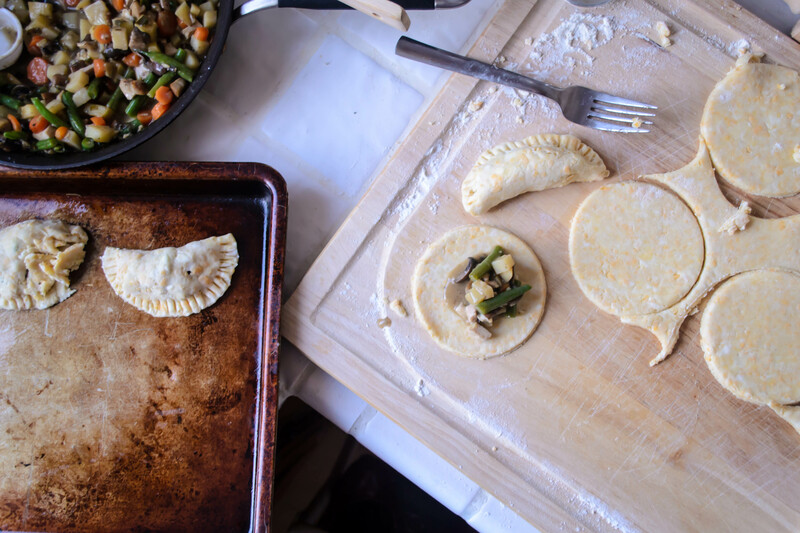 These quantities may not seem like enough, but remember, you are using only minute quantities of filling for each empanada. Overfilling dumplings is somewhere in the top ten of my frequent cooking mistakes, so trust me. You will have plenty. In a saucepan, melt the butter over medium heat, then add the garlic, onions, and mushrooms. Cook, stirring occasionally, until the mushrooms begin to brown, 5-8 minutes. Add the potatoes and carrots, stir to combine. Add the wine and velouté. Season with salt and pepper, if needed, and any herbs you feel inclined to add. Simon and Garfunkel’s usual suspects would certainly be welcome. Cook over a healthy simmer until the carrots, which will likely take the longest, are almost tender. If the pan looks dry, add a little water or chicken broth. Depending on how small you have cut the vegetables, this could take anywhere from 10-20 minutes. Mine took about 15. When the carrots are almost tender, add the green beans and simmer until they are just losing their raw crunch. Kill the heat and add the shredded chicken, then let the whole mess cool to room temperature. 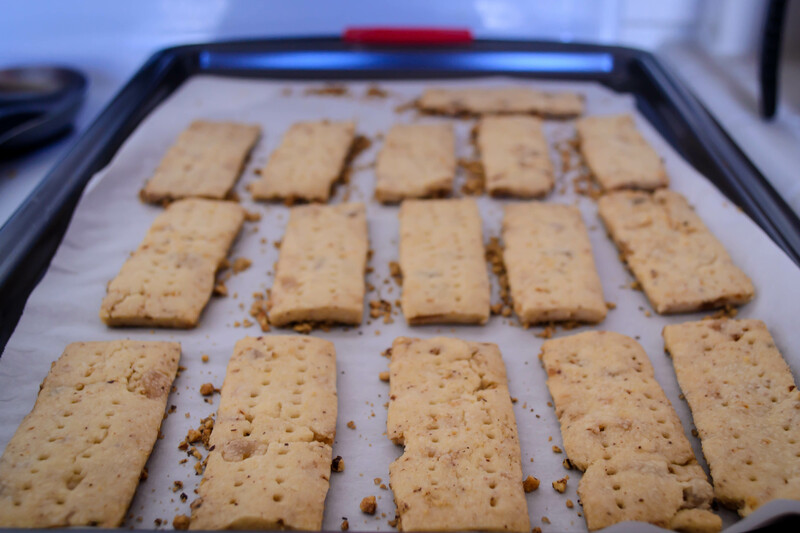 Preheat the oven to 425F and spray two baking sheets with non-stick spray or line them with parchment paper. 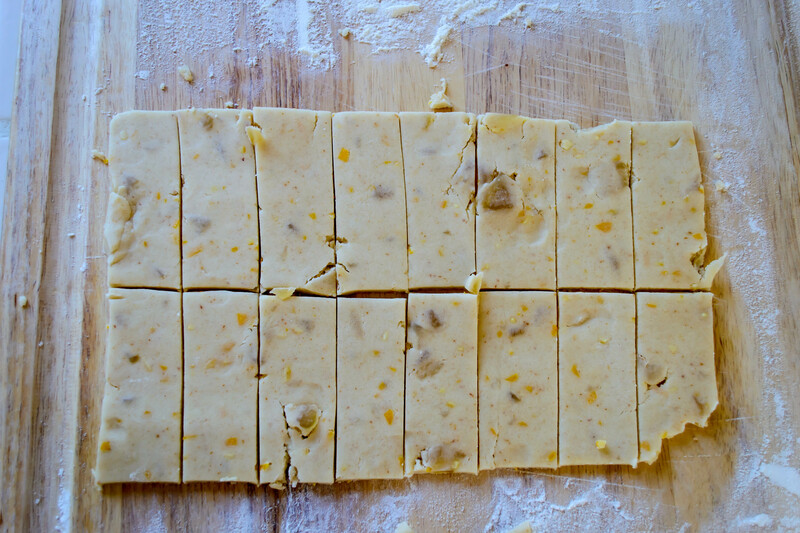 Remove the dough from the refrigerator and unwrap it on a floured board. Using a rolling pin or a straight-sided wine bottle (it totally works! ), roll it out into a rectangle or oval about ¼ inch thick. 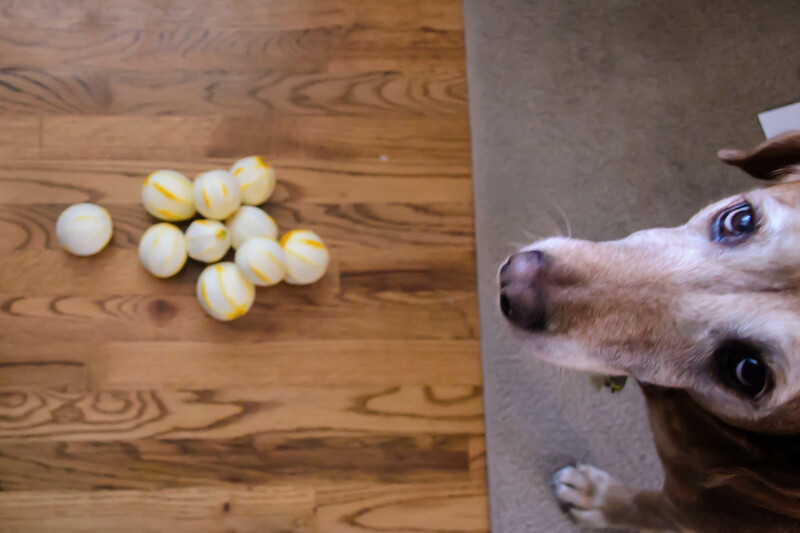 With the floured lip of a glass, a jar mouth, or a biscuit cutter, cut out into 4-inch rounds. 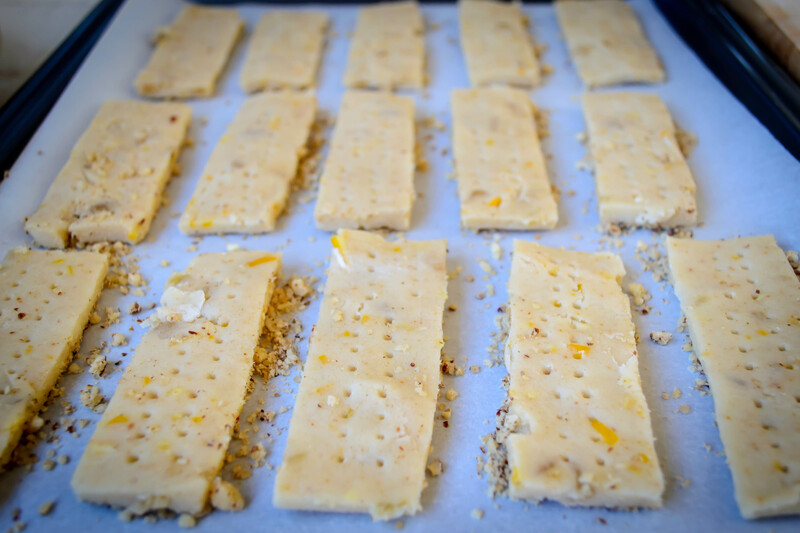 When you cut, to avoid extra stickiness or tearing the dough, press straight down without twisting all the way through the dough. 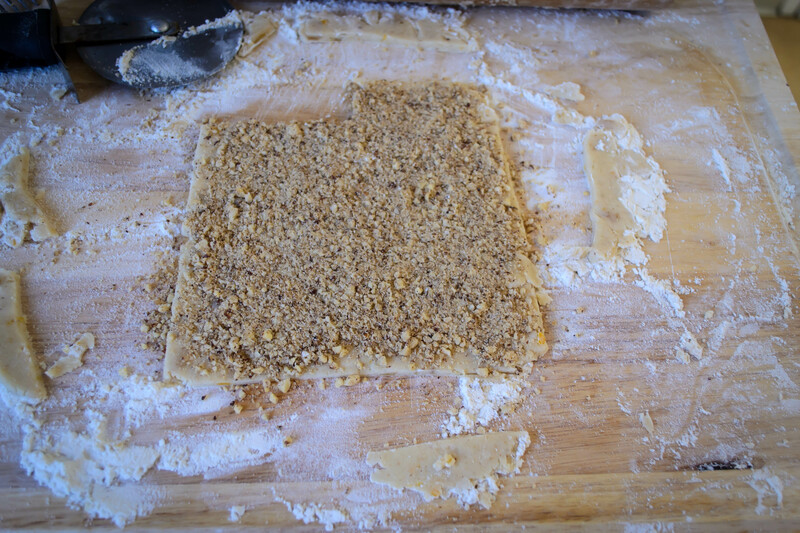 Once you have cut all the way through the dough, then you can twist the cutter a bit to loosen the round from the board. 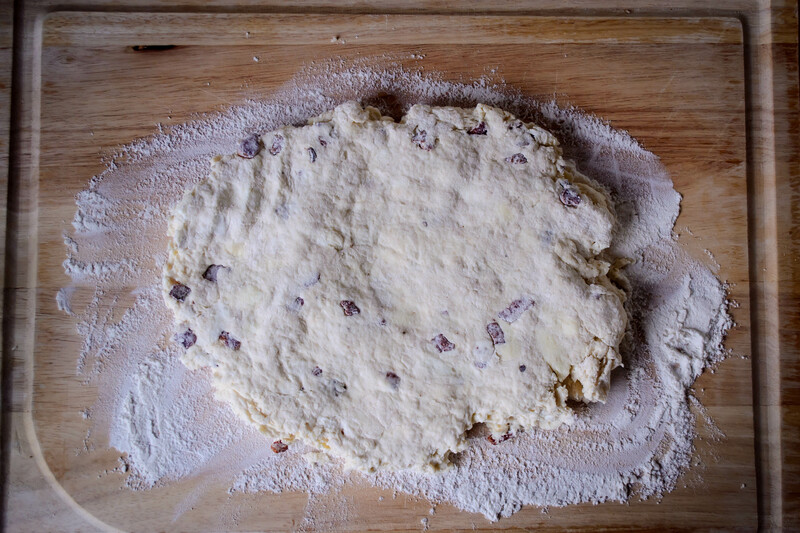 Once you have made all the circles you can with the dough, gather up the scraps and roll them out again. 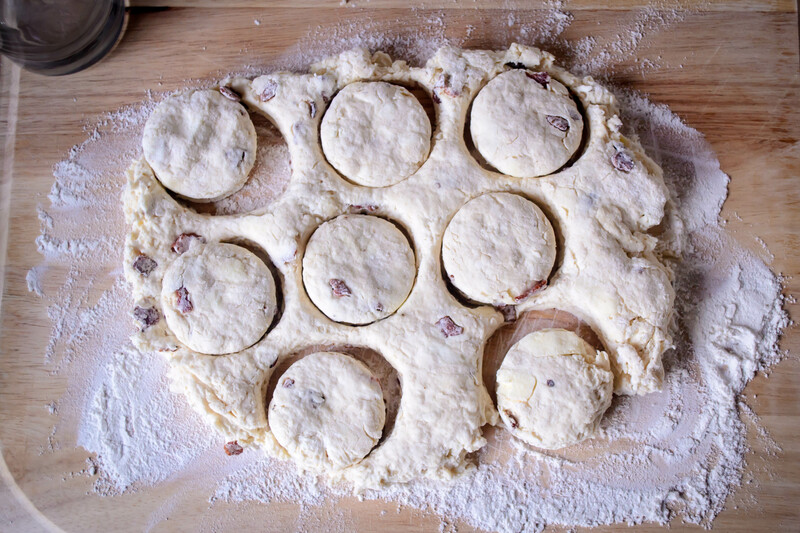 One or two re-rollings should produce 18-20 dough circles. 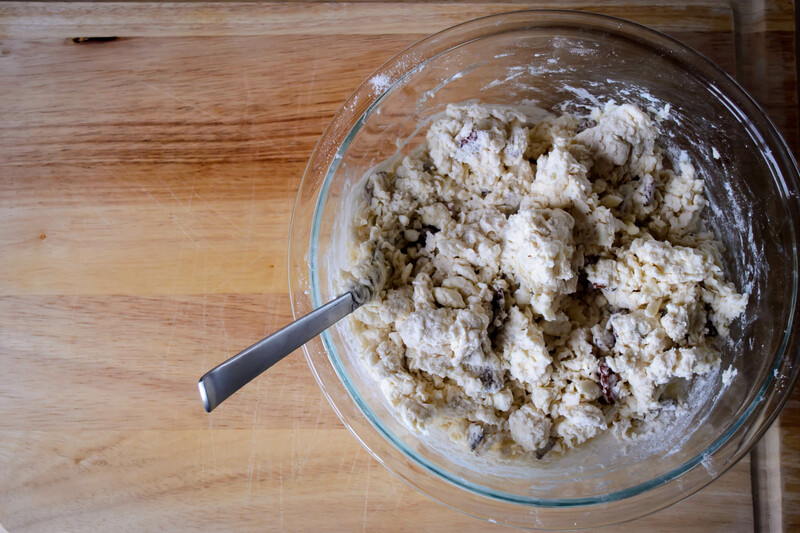 Add about 1 tablespoon of the cooled filling to each round of dough. You will be tempted to add more. Don’t do it! A solid 1 tablespoon is about all that can fit without making a tremendous mess. 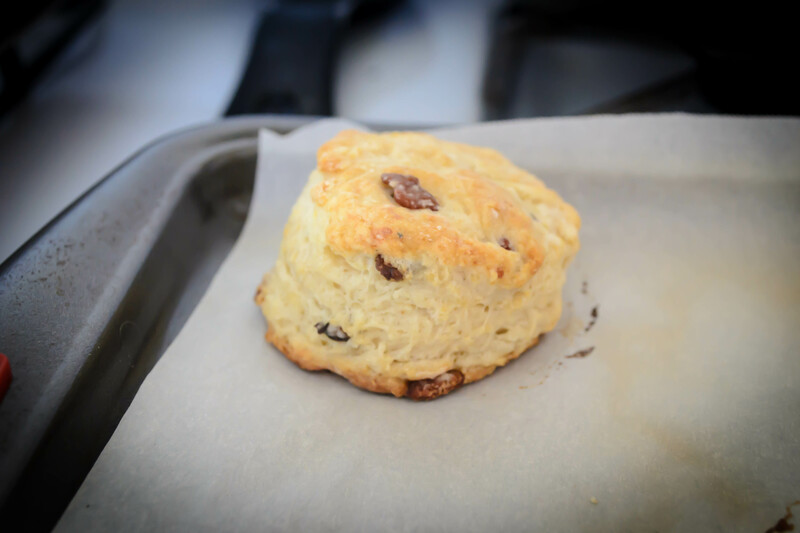 As you place each tablespoon of filling in the middle of the dough round, fold it in half and press the edges together with your forefinger and thumb. 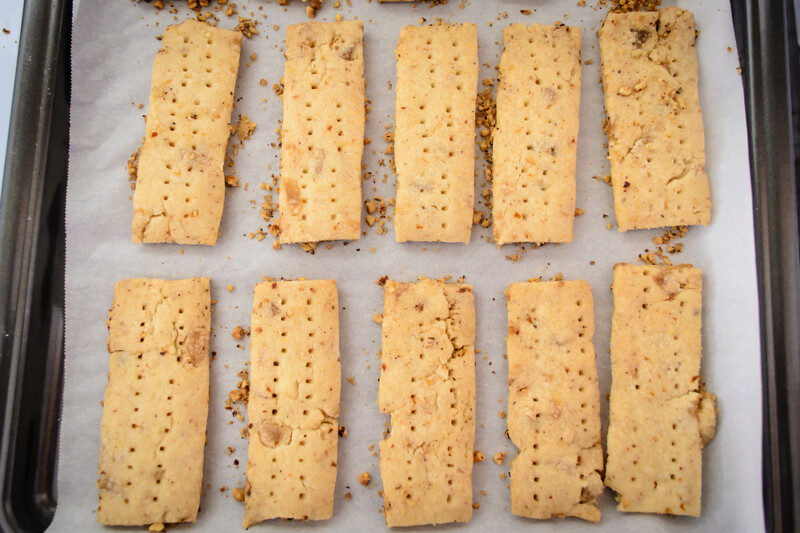 To seal each little half-moon package, set it down on the floured board again and press down on the edges all the way around with the back of the tines of a fork. This really crimps it closed, but it also looks pretty, which I’m a fan of. 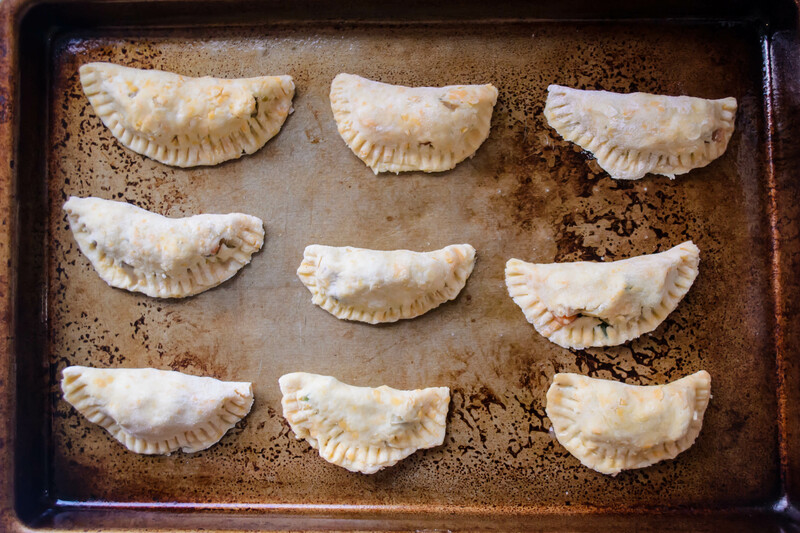 Settle each empanada on your prepared baking sheet. They aren’t going to spread, so they don’t need too much room in between them, but you don’t want them touching each other. 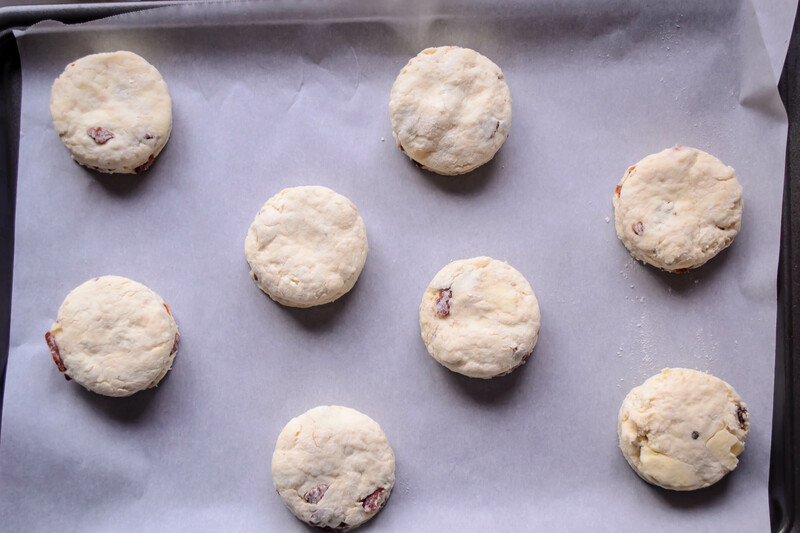 Each needs to get the full oven experience without its neighbors interfering. 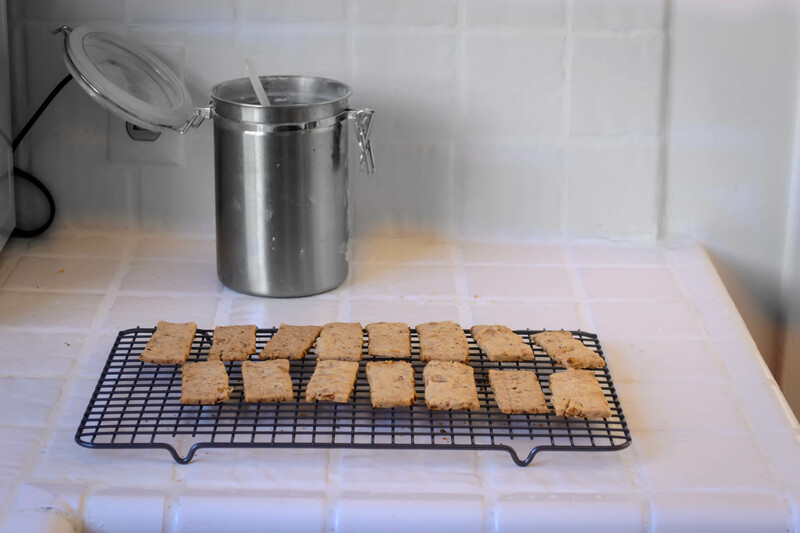 Bake in your preheated 425F oven for about 20 minutes, until the crust is golden and crisp to the touch, and any filling that has had the misfortune of leaking out is bubbling assertively. You will probably need to let these cool for 5-10 minutes before eating. Just enough time to, if you’re feeling virtuous, toss together a quick salad. Or, you know, not. 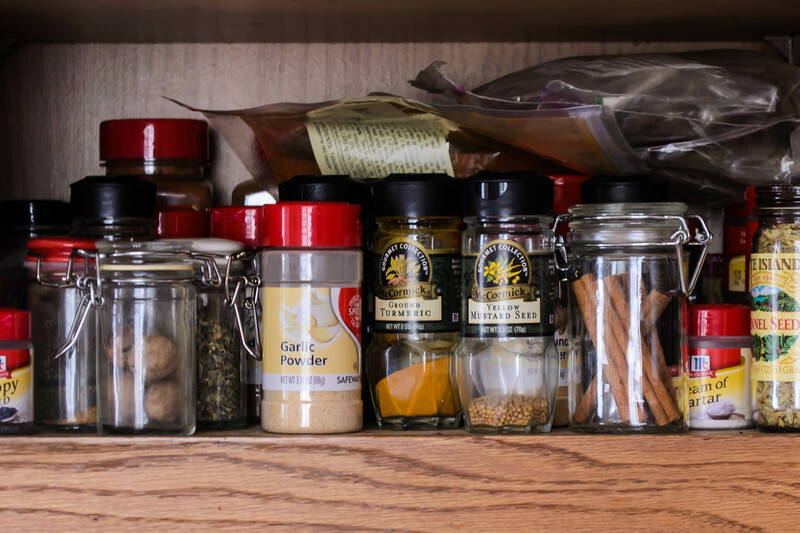 Let’s talk about your spice cabinet. No? Okay, then let’s talk about mine. I really started cooking when I moved to Oregon, and that first Christmas, coming back home to Northern California after three months of what seemed like non-stop rain, the gift I wanted more than anything else was a spice rack. This, I was sure, would be the essential catalyst in my longed-for transition from college-graduate-experimental-cook to full-scale domestic goddess. Mom and I went to kitchen store after kitchen store, looking for the right one. It needed to hang, so it couldn’t be too big. It had to have a fair number of bottles, but I wanted them empty, not filled, because I wanted to choose my own spices. We finally found it in Cost Plus World Market, which was convenient, because it was immediately adjacent to their spice selection. We picked out ten or twelve of the usual suspects, and then Mom said “okay, now turn around while I put it in the cart, and forget what you saw here,” which has, since the days of Santa Claus, always been our funny way of buying presents for each other in full view of the giftee. 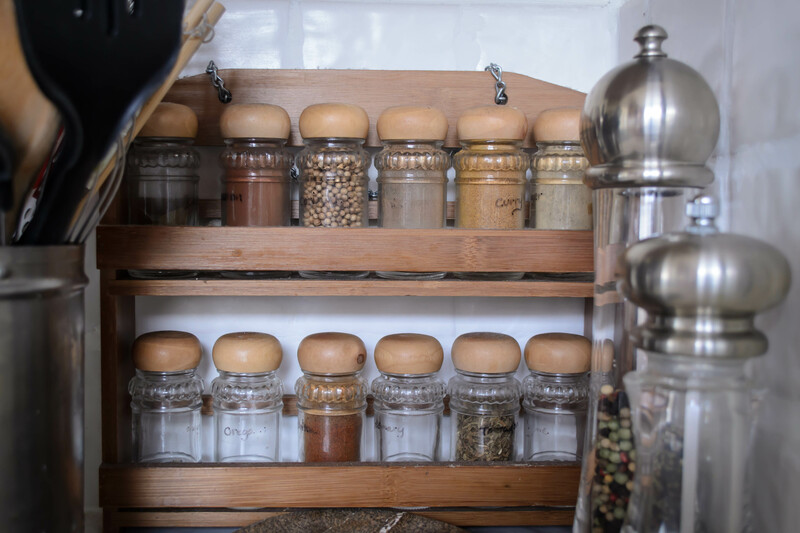 This little spice rack worked fine, and hung proudly from a nail above my stove, until my spice requirements exceeded the twelve little bottles the shelves would hold. Suddenly whole AND ground cumin were necessary. Tumeric and cayenne and cream of tartar and even the dreaded pre-mixed pumpkin pie spice found their way into my kitchen and demanded homes. This is not a good system. There, I said it. It’s just not! It holds the whole collection nicely, but it’s dark back there, and things fall over, and sometimes I don’t feel like digging around to see if I have any poultry seasoning, and then it’s Thanksgiving and I’m in a dark, cranky place and I think “screw this noise!” and buy a new bottle. So then I have four. What I really need, what I covet and dream about, is something like Aarti’s magnetic spice wall. In the absence of space or motivation to build something that fancy, though, I stick with my system. Every once in a while, I summon the courage and the patience to investigate the dark reaches of the cabinet, to get a sense of what’s in there, what needs replacing, and what deserves a space in my weekly menu. 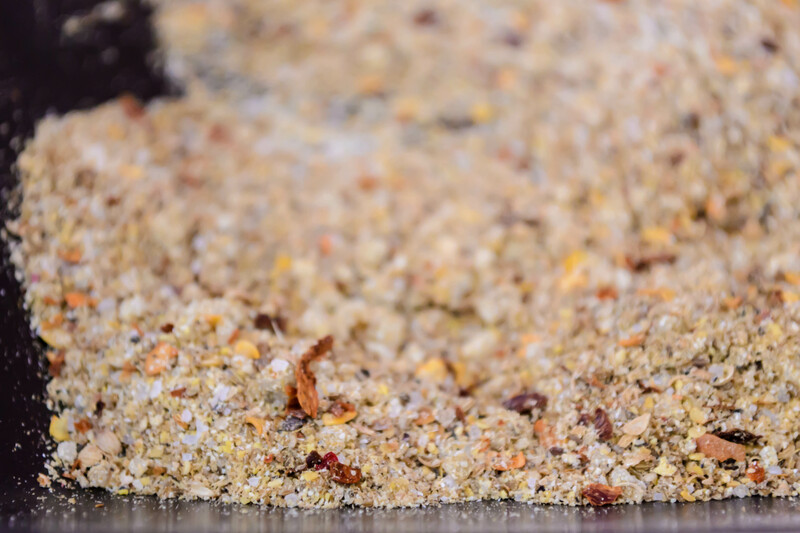 The early days of summer are a good time to do this, because they offer a prime opportunity to make a smoky, spicy, aromatic rub for grilling. I started with a recipe from Fine Cooking originally designed for beer can chicken, and then I tweaked and adjusted and adapted for what was, as you might have guessed, in my spice collection. 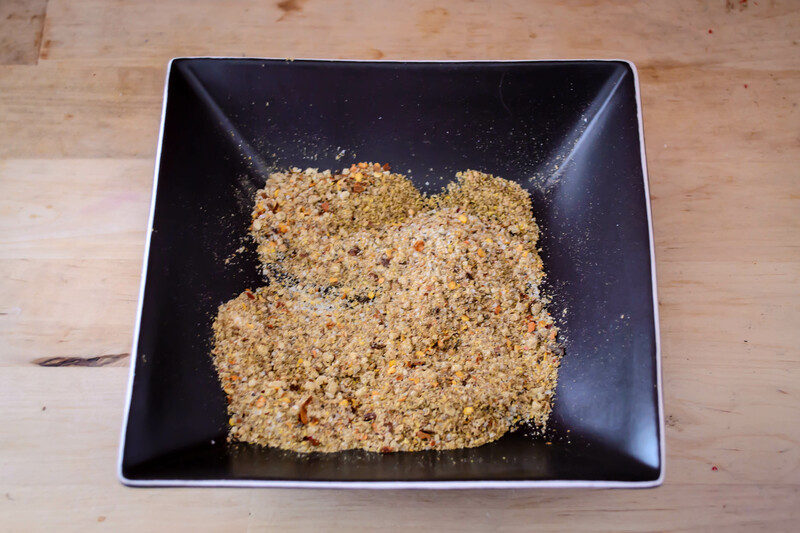 It’s got cumin, it’s got crushed red pepper, it’s loaded with garlic powder and mustard seeds and sea salt and just a hint of ginger for an intriguing and different kind of heat. This is a tasty rub for grilled meat, obviously (we like it for chicken, patted on before a liberal slather of equal parts Dijon mustard and apricot jam), but I think it would also be great on slabs of pressed tofu, or buttered corn, or potato wedges (you make your steak fries on the grill in the summer, right?). And if you were really feeling adventurous, you might even add some to a light, lemony vinaigrette to carry the flavors through your side salad. This recipe makes enough for several applications, which means you’ll have enough to last part of the summer. It keeps well in a sealed zip top bag. 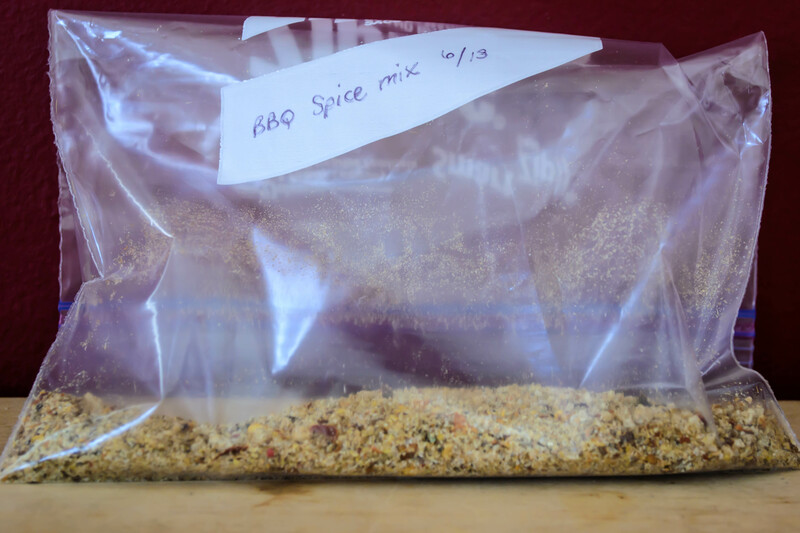 And in between grilling, you can just store it… in… your spice cabinet. Oh. Well, just jam it in at the front, for easy access. Maybe it will help you forget the mess nightmare treasure trove behind it. Plus, it’s got so many tasty flavors in it, you surely won’t need anything else for the rest of the summer, right? Right. 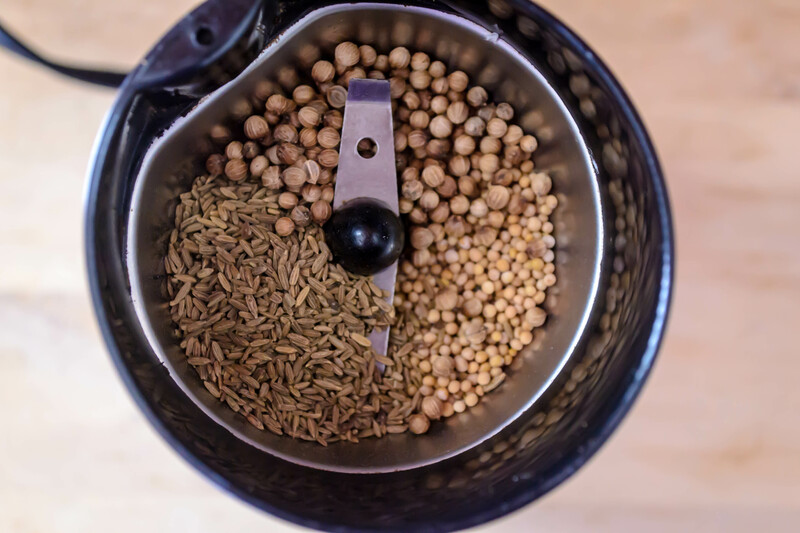 If you are feeling especially ambitious, toast your cumin, coriander, and mustard seeds in a small, dry pan over medium-low heat for 5 minutes, or until the cumin starts to pop a bit and look just a touch oily. Once that has happened, turn the heat off and let cool before moving on. 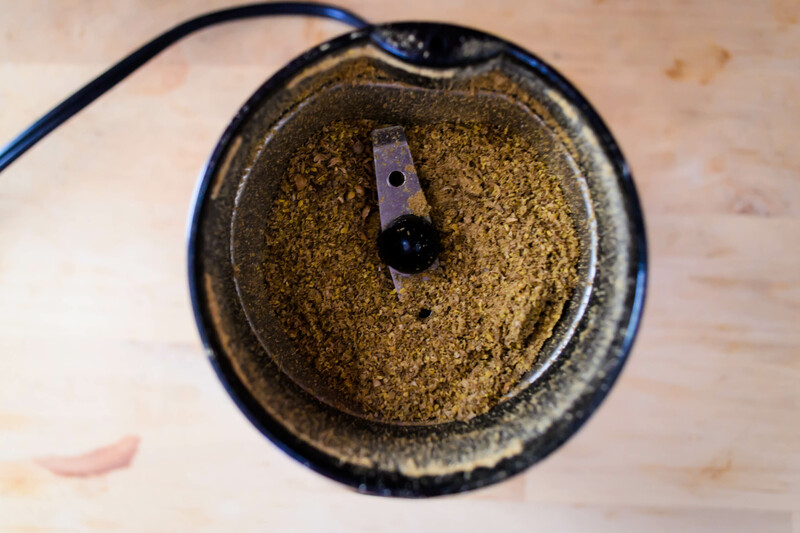 If you are feeling lazy less ambitious, skip the toasting step and put the cumin, coriander, and mustard into a spice grinder (or your husband’s coffee grinder. If there’s a little residual ground coffee in there, all the better! Extra shot of flavor you didn’t have to work for!) and pulse until the seeds become a fine powder. Mix together ground seeds and all remaining ingredients in a small bowl or, if you are lazy especially efficient, the zip-top bag you’ll be using to store your mix in. Ta-da! Apply liberally, patting and massaging for good coverage and adhesion, to whatever you’ll be grilling for a smoky, slightly spicy kick. I have these moments when I realize I’ve just said something. I don’t mean this to sound like I’m unaware of or not in control over my own speech, but I am a classic case of speaking before I think, at least when it comes to food. A few weeks ago, N. and I were on the verge of no longer enjoying our morning errands. On Sundays, we frequently run errands before going to our local Farmers’ Market, and because one of us is occasionally a bit of a lazy slouch on weekend mornings (I’ll leave the guessing up to you), we often don’t hit the shops until after 10am. This is not a huge problem, except that my body is programmed to begin its hinting that “lunch would be nice, please” at about 11:30. By noon it’s more of a demand, and by 12:15 you’d better feed me, because I’m about to devolve into full-on hangry (which I remain convinced is one of the best portmanteaus ever invented. It’s right up there with spork). N. is keenly aware of this schedule, and yet for several weeks in a row we’ve found ourselves food-less during the half hour that takes me from peckish to crotchety to downright unpleasant. Suddenly, I was beholden to it. 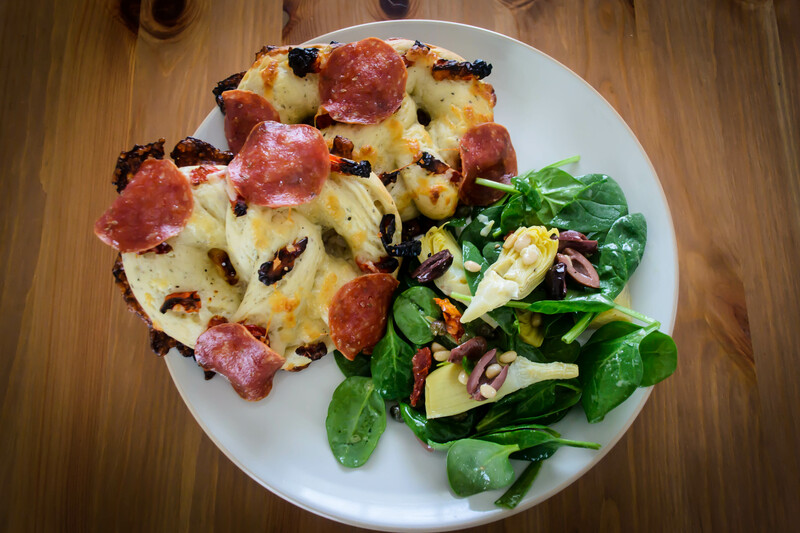 N. isn’t always taken in by my crazy food schemes, but apparently the idea of a homemade pretzel masquerading as pizza was something he’d never known he always wanted. It fell to me to create a version that wasn’t sodden with grease, wasn’t packed with questionable preservatives, and wasn’t luke-warm and pressed behind plastic with its sad, sorry brethren. My typical response to this would be to turn to the internet. This time, however, I had Nana’s sweet roll dough to guide me, and I wondered whether I could achieve my objective by creating a savory version of her lovely elastic dough. Removing the sugar and adding savory Italian herbs to the mix was a successful experiment. The kitchen smelled like foccaccia while my dough rose, and I was thrilled with the flavor in the piece I pinched off to sample. 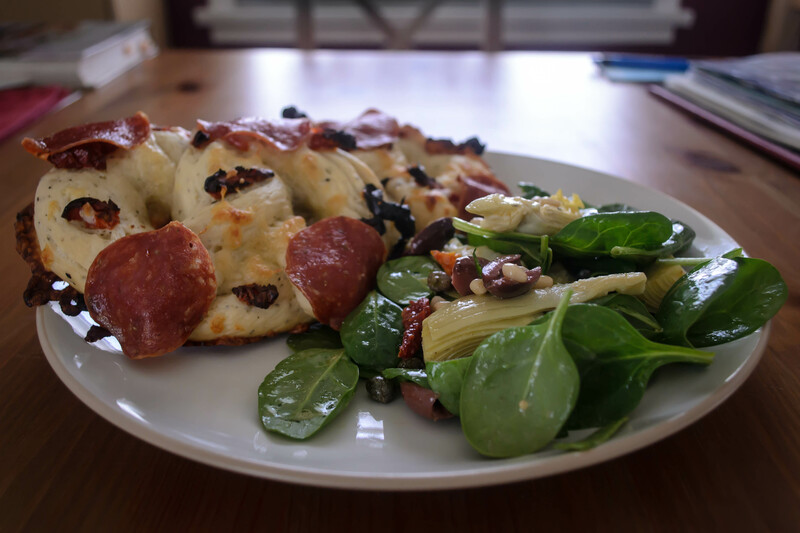 I divided my dough into eight little balls, rolled them into long stringy ropes, and surprised myself when careful looping and twisting resulted in a pan full of something that actually looked like pretzels. But here’s where things started to go a bit imperfectly. 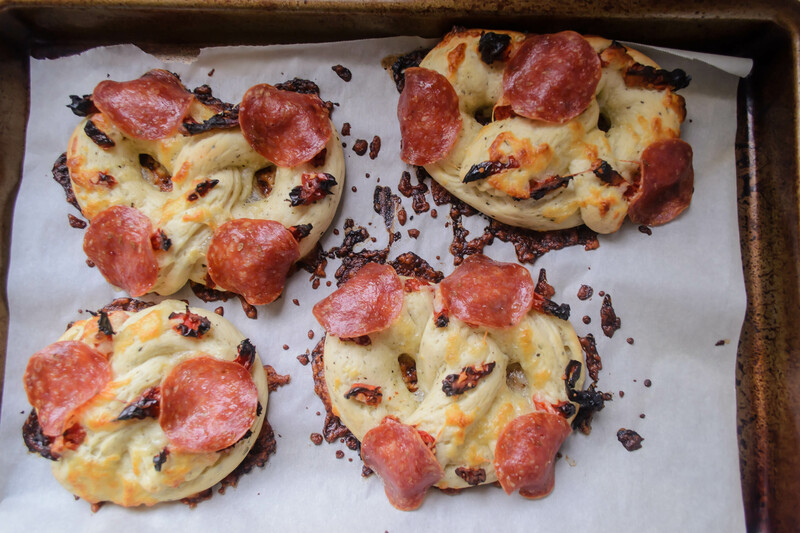 I topped my plump little pretzels with chunks of sundried tomatoes, mounded them with shredded mozzarella, and draped slices of pepperoni over the top. They lost their definition and looked more like piles of cheese than like pretzels, but that didn’t bother me much. 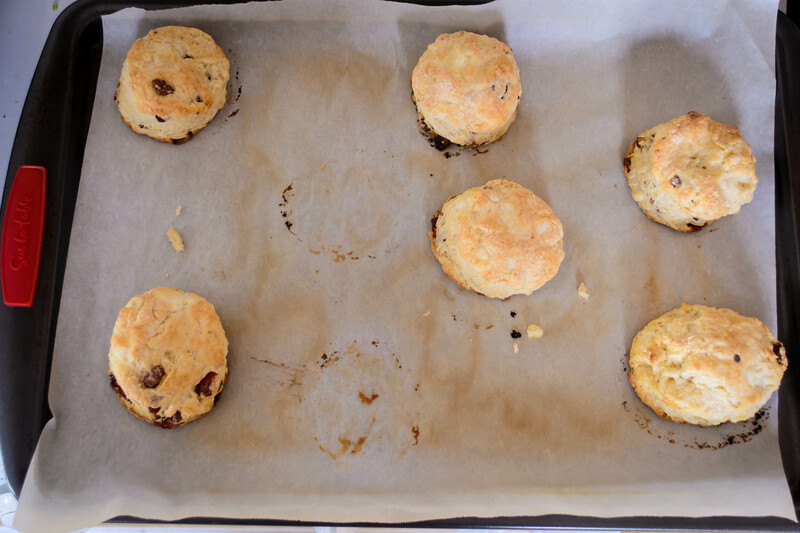 Upon baking, however, a bit of their charm dissolved. In the time it took to bake the dough, the cheese didn’t brown or bubble they way I’d hoped. Further baking time led to overly charred edges on the tomatoes, and the cheese that had fallen onto the parchment paper I’d laid down as extra insurance went from bubbling to black. N. ate them with gusto anyway, devouring several for dinner that night and taking foil-wrapped leftovers to work for the next few days. But I wasn’t satisfied. Not only were there overcooked elements, but the result didn’t taste quite like a pretzel. It was good, but lacking in that toasty, crunchy exterior that makes a soft pretzel great. I’m going to give you the recipe I used, but first consider these alternatives and, if you try any, let me know how they work out. 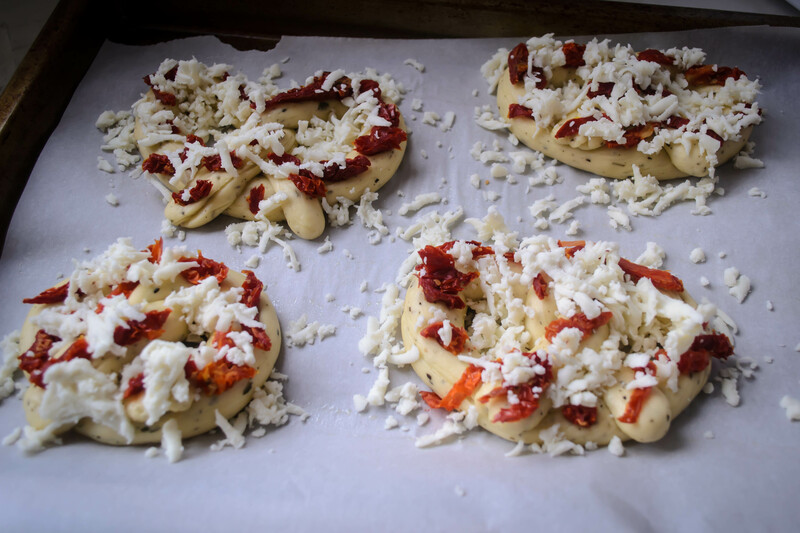 Next time, I’m going to mix the sundried tomatoes right into the dough along with the herbs. 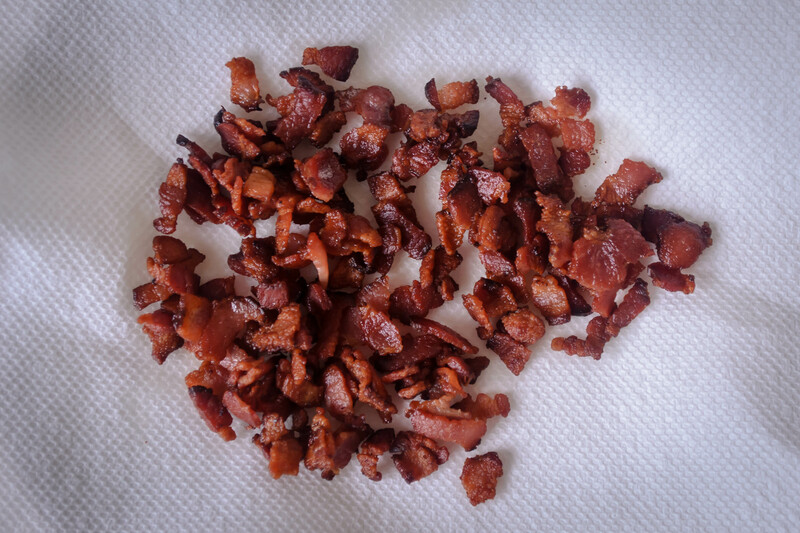 Their flavor will still be there, but I think they will stay chewy and moist instead of burning. I’m also toying with the idea of stuffing the pretzels with the cheese rather than sprinkling it on top – this would result in an oozing, melty, stringy core to each pretzel, and it would allow you to boil the pretzels before baking them, which contributes to the classic texture of the exterior my version was missing. 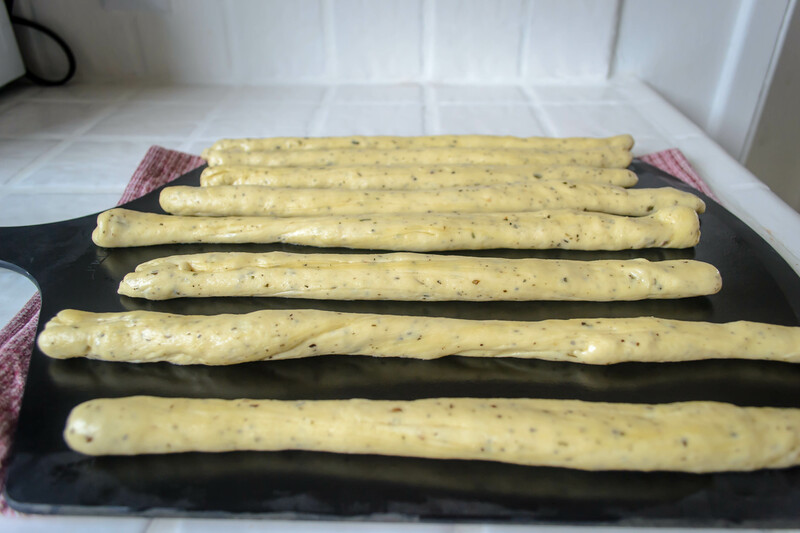 I would flatten each individual dough ball into a rectangle, sprinkle it lightly with cheese (leaving a generous border on all sides to prevent leakage), then roll and pinch tightly before making a rope and twisting as before. These would be delightful dunked in some garlic butter, or basil spiked marinara, or even seasoned and pureed roasted red peppers, if you’re into any of those sorts of things. But either way, you’ll have a remedy for the sneaky Sunday afternoon hangries that far excels anything you’ll find at a food court. 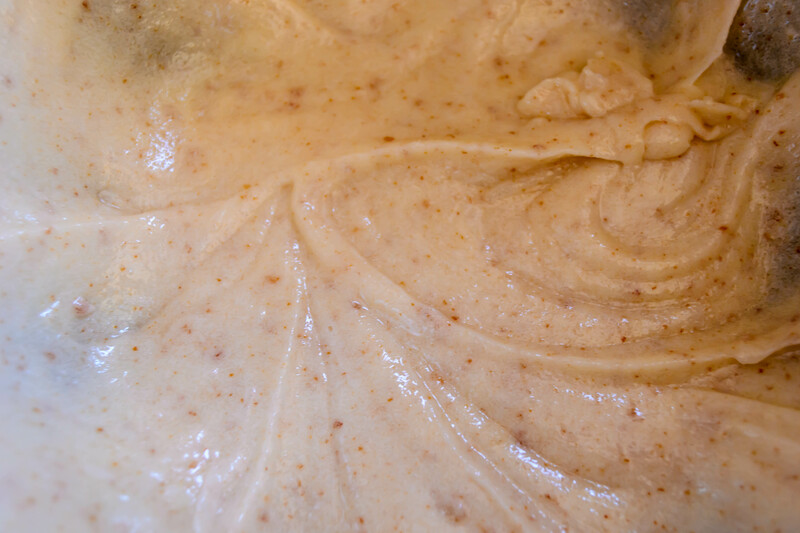 Combine yeast, honey, and warm water in the bowl of your stand mixer (or in a medium bowl) and set aside for 5 minutes, or until the yeast is bubbly and smells like bread. Meanwhile, heat the milk and combine with the butter, swirl until the milk is cooled and the butter is melted. Add cooled milk, melted butter, and egg to the bubbling yeast and mix on low speed with the paddle attachment until the egg is broken up a bit and things are slightly combined. Add flour, spices, and salt (you could probably add any combination of spices you like, including crushed red pepper for some heat, or rosemary for a woodsy flavor. 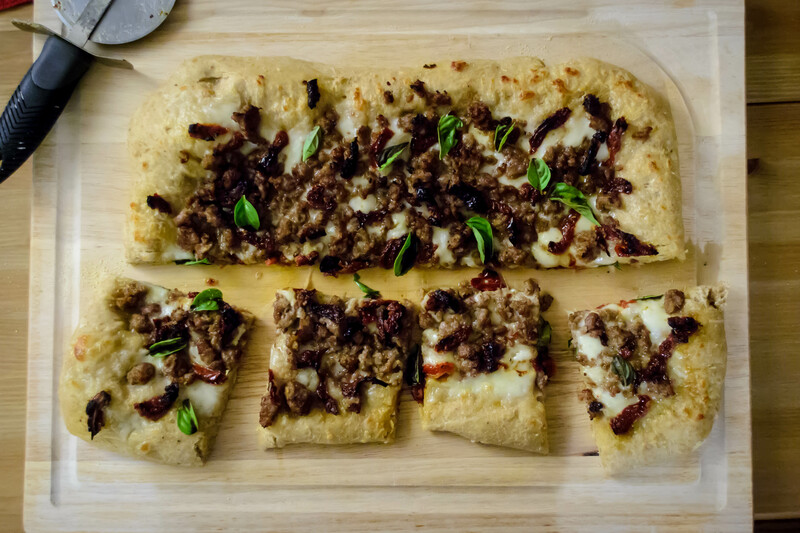 I’d stick with dry spices, though, for easier distribution and that classic pizza flavor) and mix with the paddle attachment until a wet, sticky, uneven dough forms. 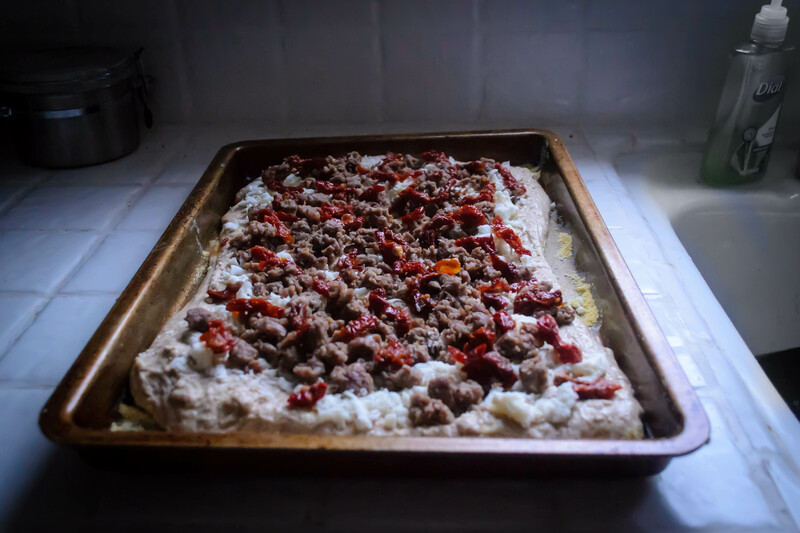 You could also add the tomatoes at this point, if you want to incorporate them directly into the dough. Scrape clean the paddle attachment and switch to the dough hook. Knead at medium-low speed for 5-8 minutes or until dough is smooth, elastic, and willing, if you pinch a bit between your thumb and finger, to stretch out about an inch without tearing. 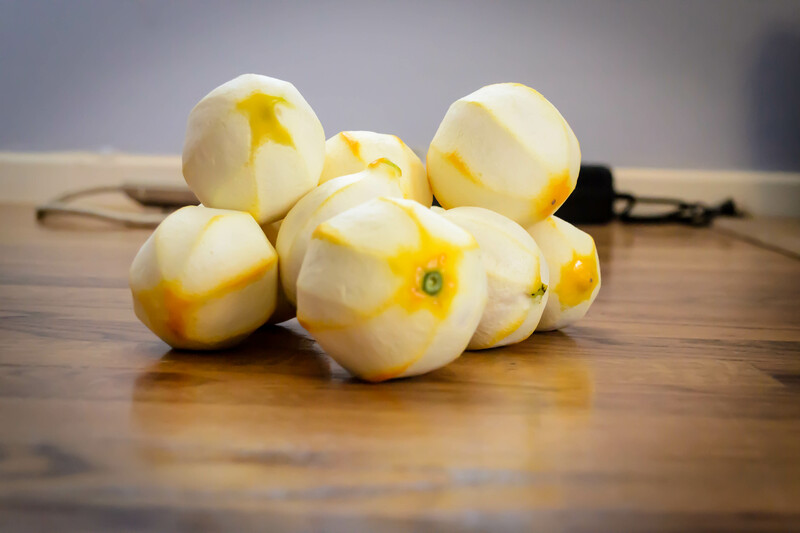 Dump your ball of dough into a glass or ceramic bowl greased with olive oil and turn it over once or twice until it is coated in oil, then cover with a clean kitchen towel and stow in a warm, draft-free place for 1½ hours, or until it has puffed and doubled in size. When you return to your dough, after you admire its impressive swell and the way it already smells of pizza, gently deflate by pressing your knuckles into the center of the puff. Let it sit for a few minutes to get its breath back. Turn the dough out onto a barely oiled surface (I don’t have a marble stone or anything fancy like that, but I do have a pizza peel, which was a little small but otherwise worked just fine) and divide into eight even pieces. 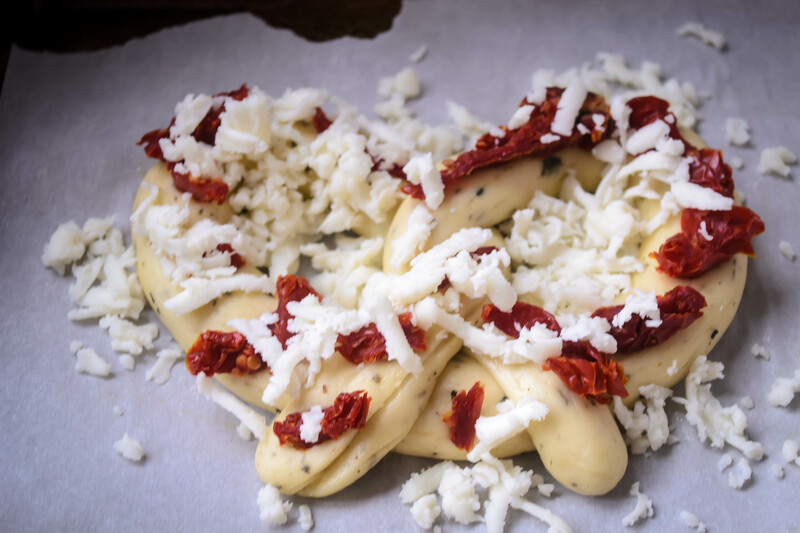 If you want to stuff the centers of your pretzels with cheese, roll each dough ball out into a thin rectangle and sprinkle a few tablespoons of mozzarella over the surface, leaving a wide margin on all edges to prevent the shreds from escaping. Then wind it up tightly and pinch the edges to secure. 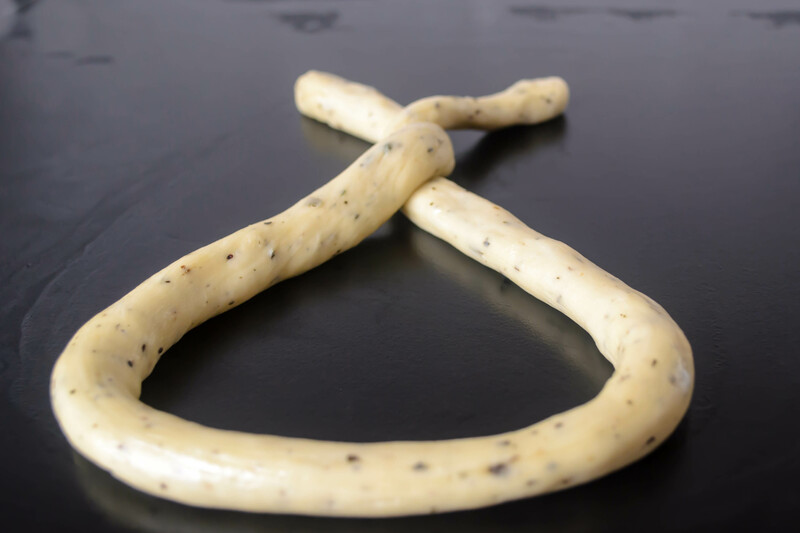 Whether you are stuffing with cheese or not, now is the time to roll the ball (or coil) of dough into a long skinny rope 18-24 inches in length. The best way to do this, I found, is to use the palms of your hands and start in the middle. 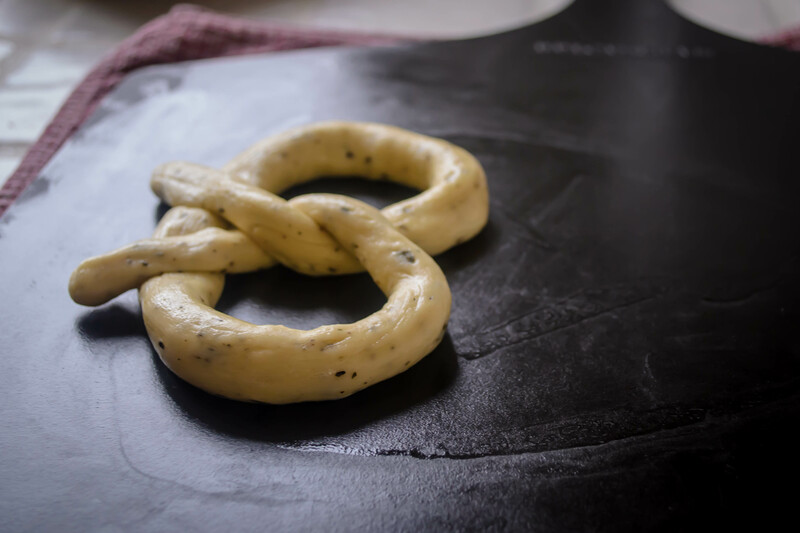 Push the rope of dough firmly away from you, then back toward you, starting in the very middle and then, as the dough bulges toward the outer edges, follow it along moving outward until the rope is even in thickness and at least 18 inches long. 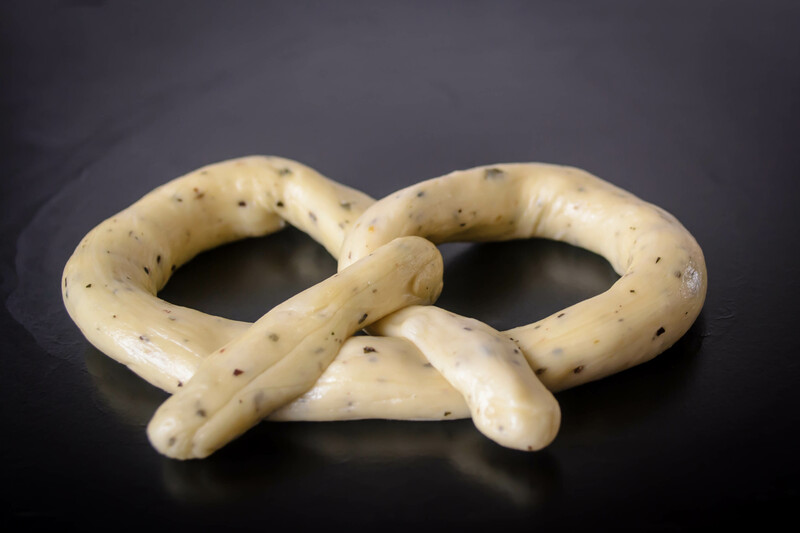 To form your pretzels, bring the ends of each rope toward each other into a horseshoe shape. Then, about a third of the way down each end of the horseshoe, make a twist. Take one end of the rope and twist it fully around the other (that is, the left side of the rope should end up back on the left side once you’ve twisted it completely around the right end). Gently grab the ends above the twist and flip them over, pressing them into the bottom of the horseshoe loop to adhere. You’ve made a pretzel! Place all eight of your formed pretzels on parchment lined baking sheets (I found I needed two), cover them with a kitchen towel, and let rise for 30 minutes. During this time, you should preheat your oven to 375F. When the pretzels have risen again – it won’t be a dramatic change, but they will get a bit plumper – add your toppings. If you’ve integrated the tomatoes and cheese already, just drape a few slices of pepperoni over them and you’re done. 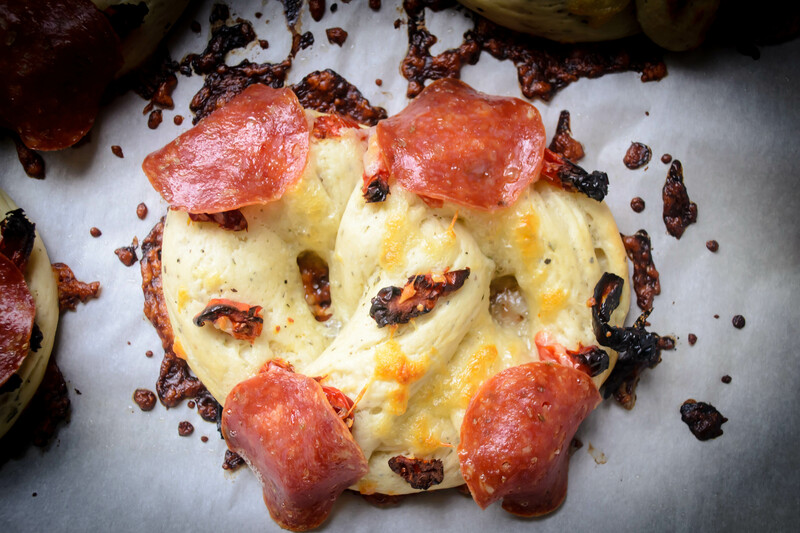 If you haven’t integrated the tomatoes or cheese, stud the tops of each pretzel with the tomato pieces, sprinkle with cheese, and then add the pepperoni on top. 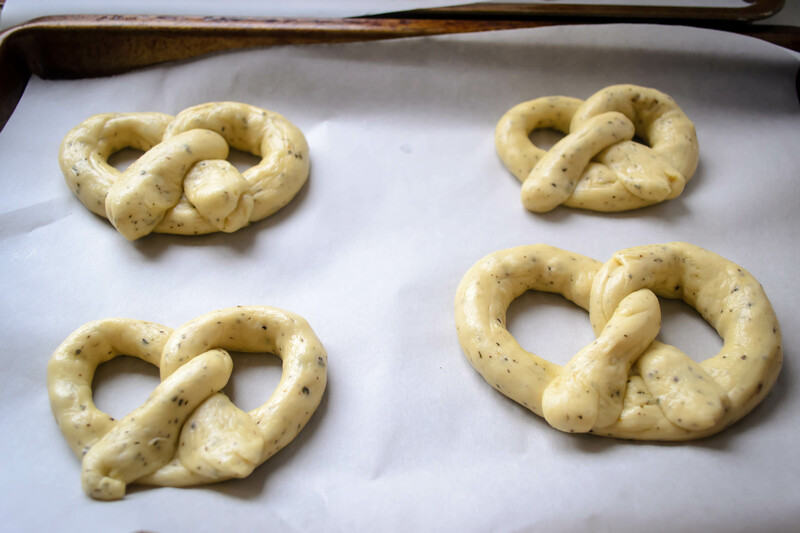 Be careful not to get too much cheese on the parchment paper, as it will burn and lend an acrid taste to your pretzels. 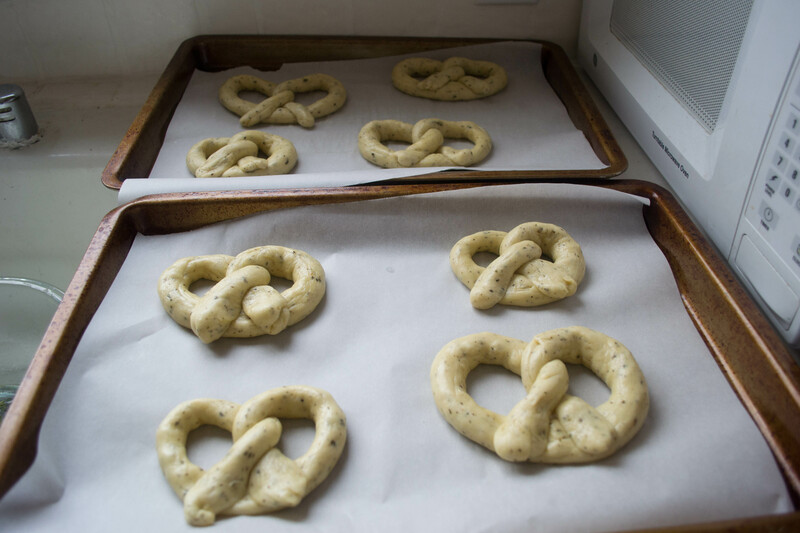 Bake your topped pretzels at 375F for 20-25 minutes, or until the cheese has melted and the dough is fully cooked. The cheese won’t get quite as brown as it does on a pizza, but it will still be melty and delicious. 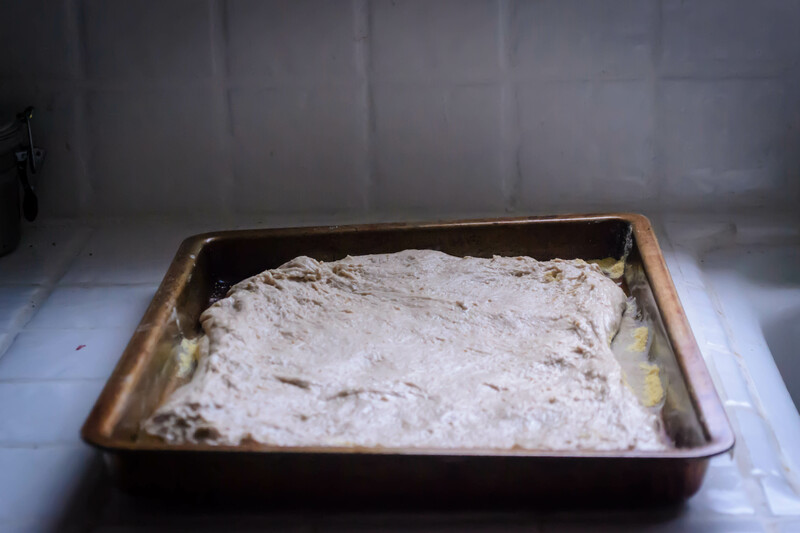 Let cool for 5 minutes before eating, so the dough has a chance to firm slightly. We had ours with a salad inspired by pizza toppings: spinach, artichoke hearts, olives, tomatoes, and some pine nuts for crunch, tossed with mustard lemon vinaigrette. * I love, love the idea of stuffed crust pizza. Forcing more cheese into an already cheese-laden dish? Yes, please! 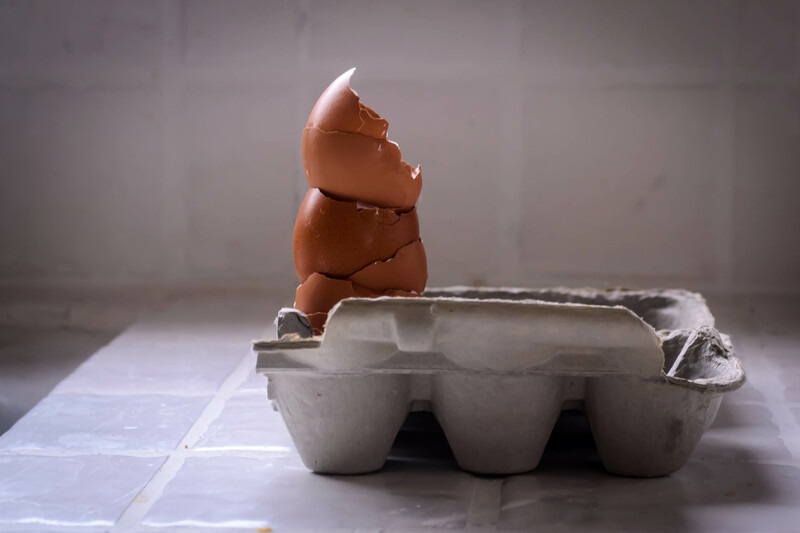 But the reality of it is so disappointing: a thick block of semi-melted sludge inside a soggy crust, like someone wrapped a stick of string cheese that had been lying in the sun for an hour in some sandwich bread and called it a day. It’s a worthy notion, but the execution just hasn’t been perfected. Sometimes, a week calls for pizza. But you don’t want the delivery variety dripping with grease and lazy with a smattering of mix-n-match toppings. You want something fresher. Better. You want the feel of dough you can stretch under your hands and control over the size and shape of the pie and choice in the quality and variety of ingredients. N. and I have often talked about pizza memories, and how, when we were kids, pizza just wasn’t the same without a side of root beer. It had to be in one of those hard plastic molded glasses, and it had to be with a clear straw. And sometimes, you forgot you’d ordered root beer instead of Coke or Pepsi, and that first gulp with its spicy depth would be a tremendous surprise. As we got older, the “root” part of the equation melted, and suddenly it was pizza and beer, plain and simple, one of the mother food and beverage combinations (is that a thing? Like mother sauces? It should be. After all, beer is the third most popular beverage worldwide, and variations on pizza have been around since ancient Greece). As I thought my way through this pizza plan this week, I wondered whether they had to be separate. I mean, yeast makes bread dough and beer possible. Beer is liquid, and there seemed no logical reason why it couldn’t be substituted for the water I’d ordinarily use to make a pizza crust. Once this idea was lodged in my head, it wouldn’t go away. This just seemed too perfect. 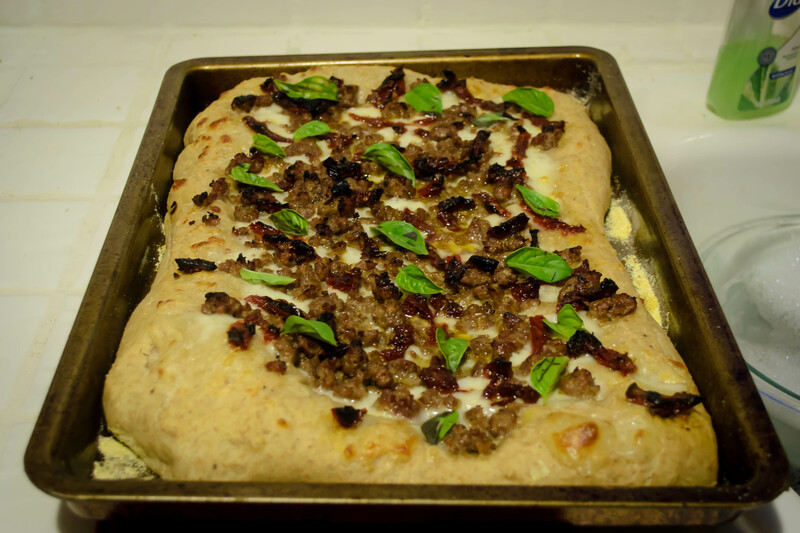 Beer and pizza, kneaded together – a truly complete meal. Even though beer is essentially water with yeast and flavorings, I wasn’t sure what would happen when I mixed the two. I heated a bottle of amber ale in the microwave with a couple teaspoons of honey, just until it was body temperature. 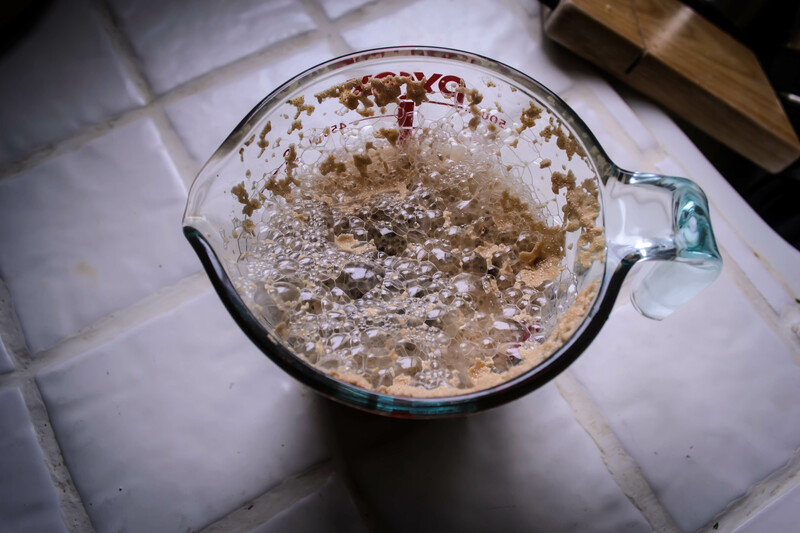 When I added the yeast and engaged the lightest of stirs, the whole measuring cup erupted with bubbles and I had a head at least three inches high. This slowly collapsed, but I took it to mean the yeast was satisfied with its new spa treatment. 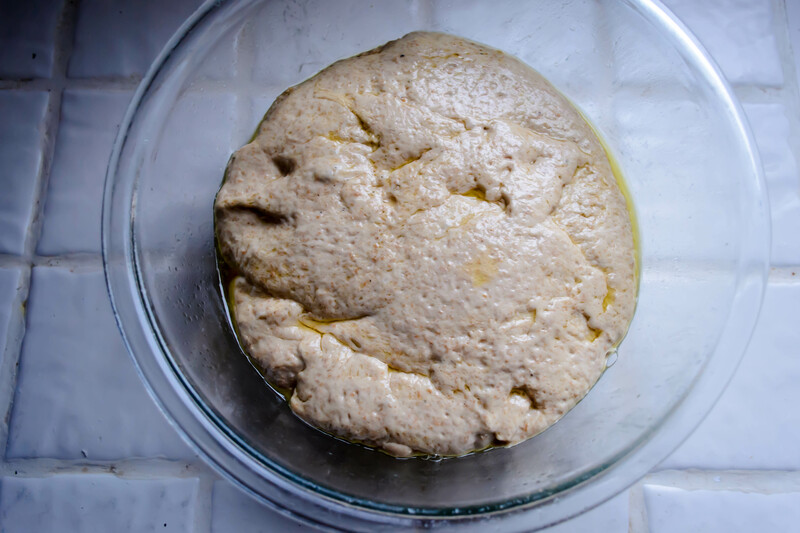 I used a combination of bread flour and whole wheat flour, and produced a spectacularly nutty tasting dough that was also the stickiest I’ve ever worked with. It slithered and dripped off of my stand mixer’s dough hook and plopped thickly into the oiled bowl I coaxed it into, and I crossed my fingers and hoped that after its six hour chill in the fridge it turned into pizza crust. When I liberated it and faced it again, it wasn’t the easiest dough to work with, but it did work. 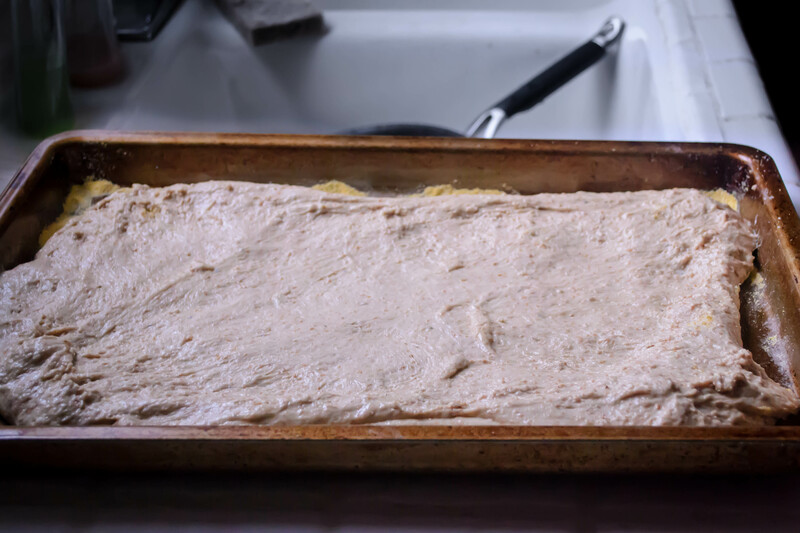 It wouldn’t deign to be tossed like a pizzeria pie, but I stretched and spread and pushed it across a cookie sheet liberally spread with cornmeal, and it turned into a rustic, bubbly, delicious crust. 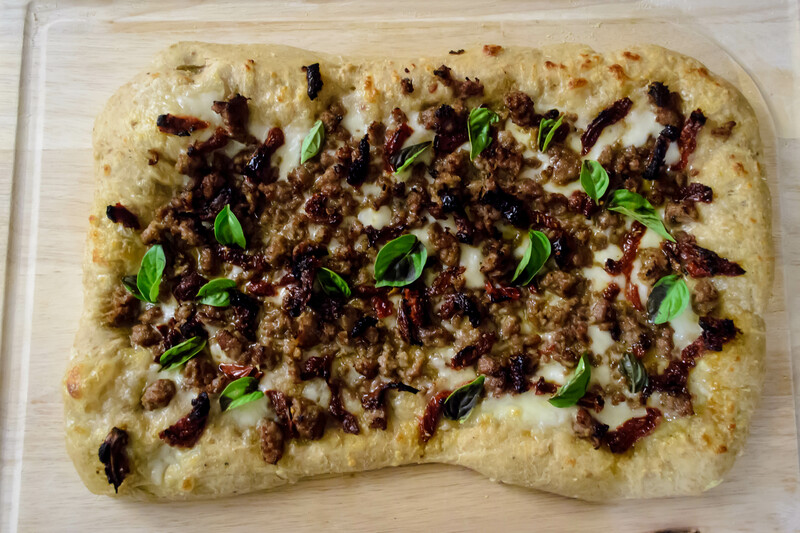 Topped with mozzarella, sausage, and sun-dried tomatoes, it baked into a glorious symphony of assertive flavors. We sprinkled on a few leaves of fresh basil while it was still steaming hot, and declared it one of my best homemade pizzas. This is a sticky, wet dough, but it works. I’m going to make it again and tweak the quantities of flour and olive oil, but trust me: this is worth fooling with for the flavor alone. The beer comes through right at the end of each bite as a deep yeasty earthiness. 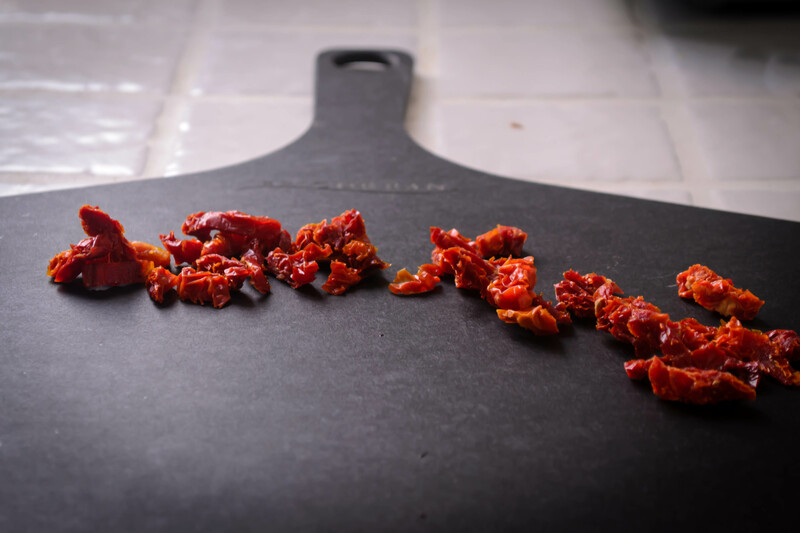 It lends the tiniest bit of bitter flavor that contrasts really well with the fatty sausage and tart sun-dried tomato. And really, why shouldn’t it? It’s beer, and this is pizza. They were made to be together. Heat the beer and honey in the microwave (or a small saucepan) until the liquid is body temperature – you should feel only the slightest heat when you dip in a curious finger. This took about 45 seconds in the microwave for me. It will take longer if your beer has been refrigerated. 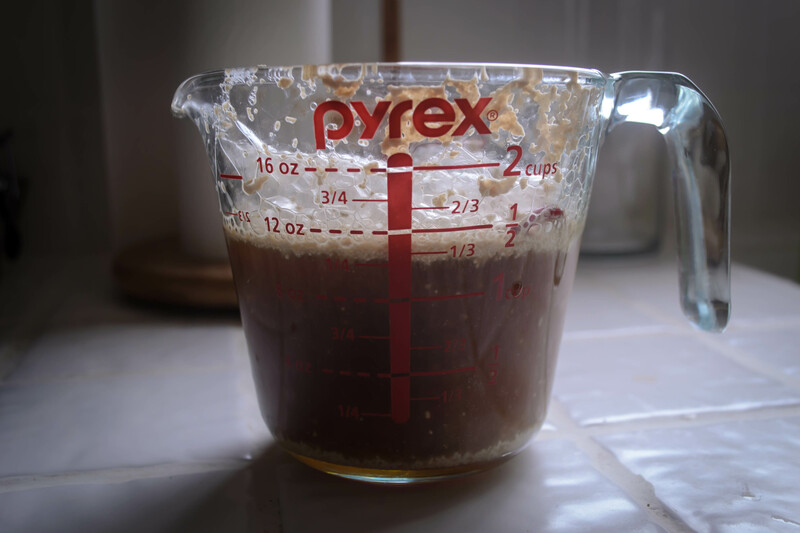 Swirl the mixture to distribute the honey, then sprinkle the yeast over the surface and set it aside for 5 minutes. 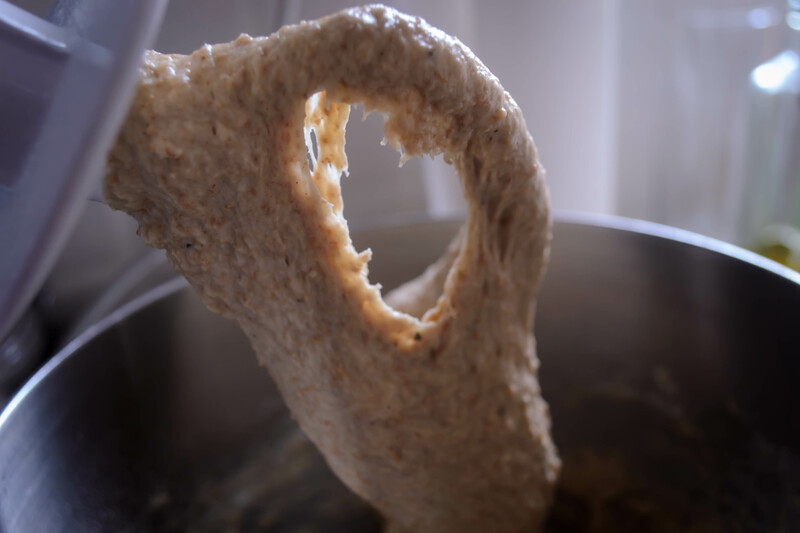 If you stir the yeast in, you will get a tremendous amount of foam on the surface, so in case of overflow I think it’s better to just let it sit. While you wait for the yeast to perk up, combine the flours, salt, and pepper in a mixing bowl or the bowl of your stand mixer. When the yeast and beer have married to create a thick foam, stir in the olive oil, then add the liquid mixture to the dry ingredients. 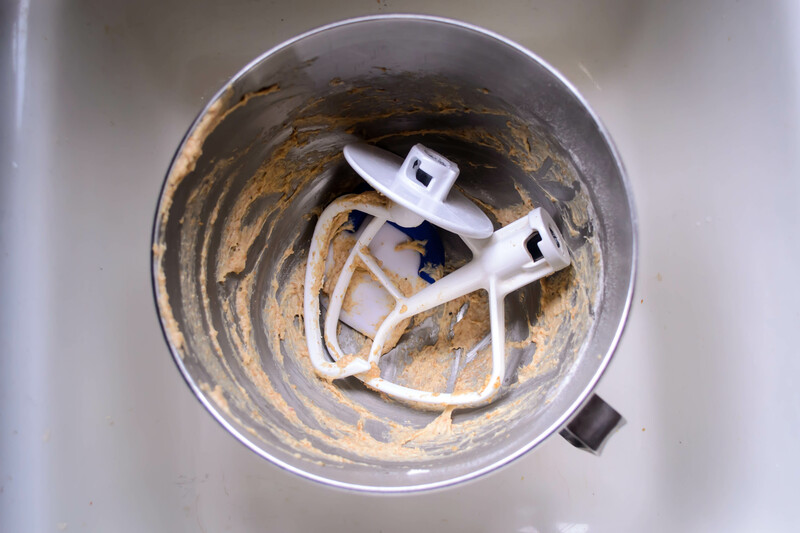 Using the paddle attachment (if you are using a stand mixer), combine at low speed just until ingredients come together into a rough, uneven dough. 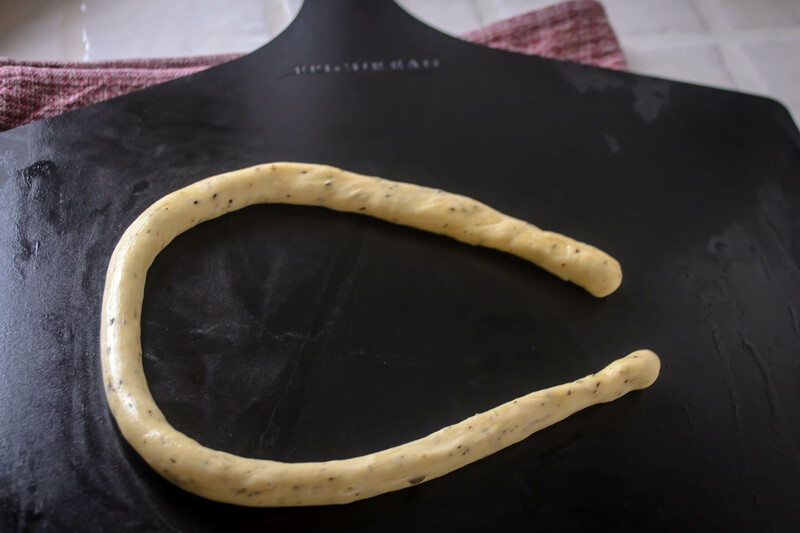 Replace the paddle attachment with the dough hook and knead on medium-low speed for 5-7 minutes. 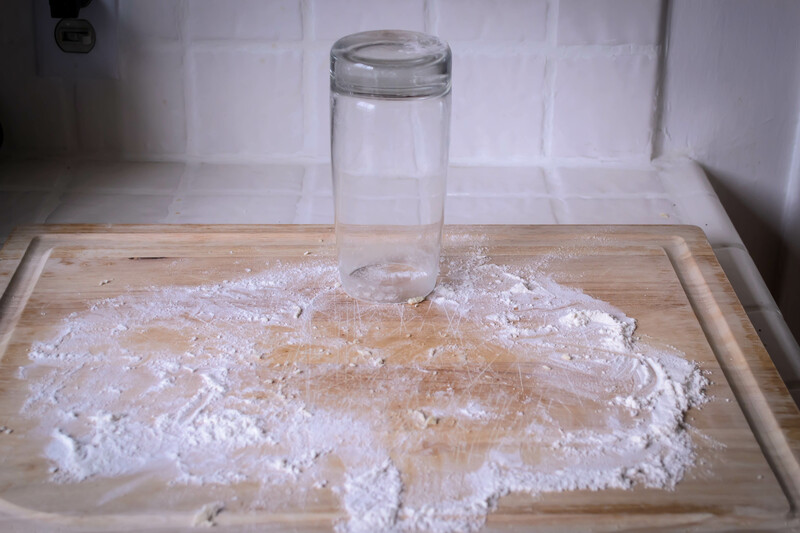 This dough will not pass the windowpane test. It will not even stay together particularly well. It will seem like an exercise in futility and disaster, and you will be sorely tempted to add more flour. 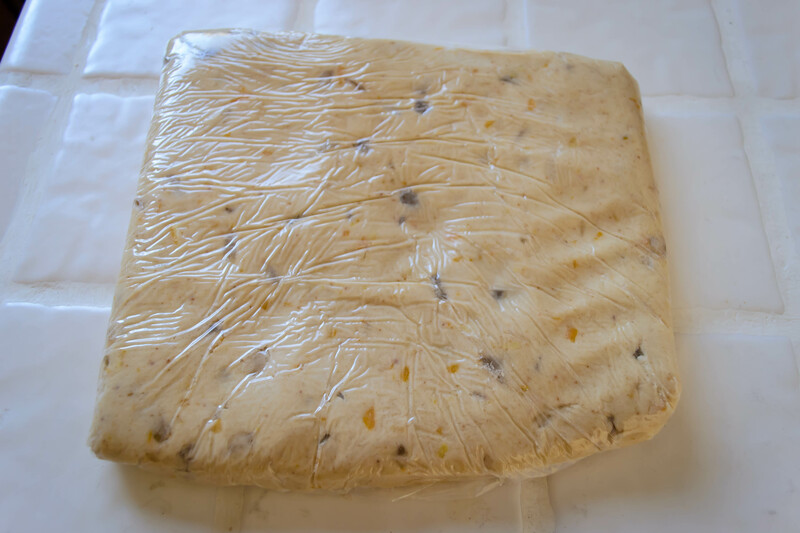 But if you resist, and plop it into an oiled bowl, and cover that bowl with plastic-wrap and leave it in the refrigerator for 6-8 hours, it will turn into something more like normal pizza dough. I promise. 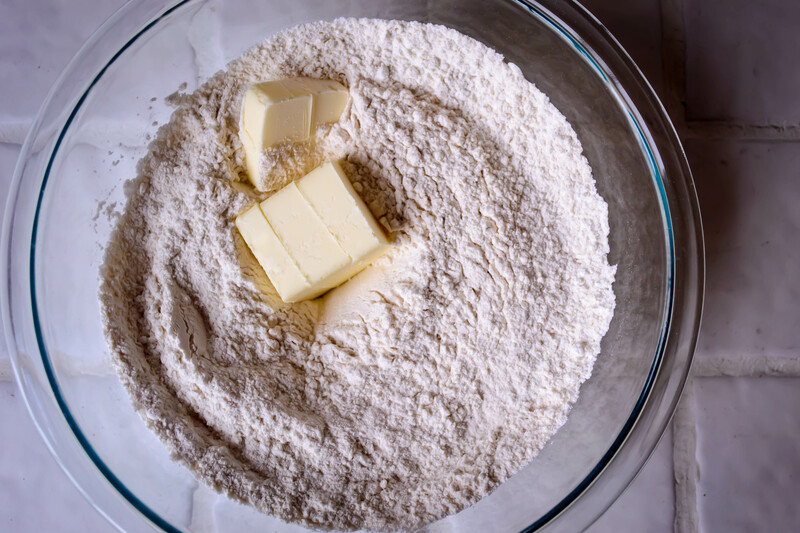 90 minutes before you intend to bake, take the bowl of dough out of the fridge and set it on the counter to finish rising and come to room temperature. 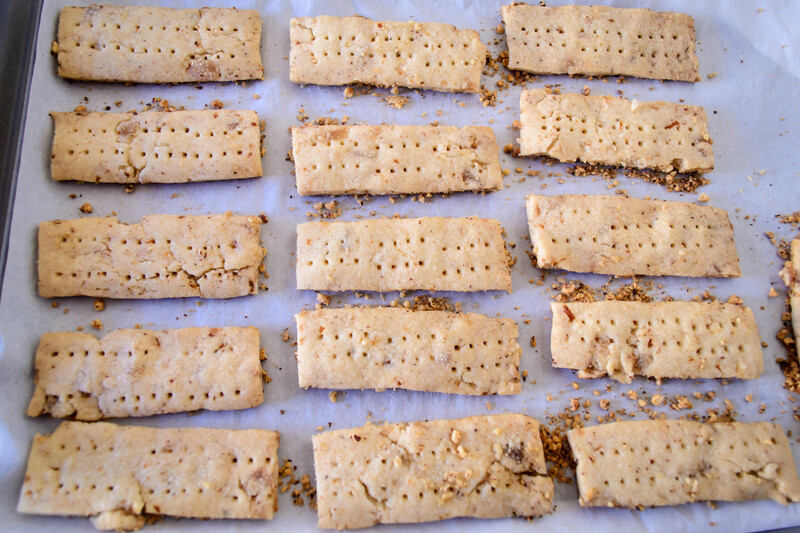 After this time has passed, and the dough is considerably increased in size (it may not quite double, unless your counter is quite warm), stretch it to your desired shape – it easily makes a thick 9×13” rectangular crust, and might be coaxed into 2 medium sized, somewhat thin round crusts – on a cornmeal or flour speckled board or tray. I just doused my cookie tray with cornmeal and pressed and pushed the dough directly on it until I was happy with the shape. When adequately stretched, add toppings and bake in a preheated 450F oven for 12-15 minutes, or until puffed, crisp, and golden. Wait 5 minutes before you cut it, to give the cheese time to congeal just a little. We ate this in embarrassingly large squares and left enough in leftovers to serve as lunch the next day. Cut slightly smaller and for slightly less voracious eaters (or if you add a side salad), this would be an adequate dinner for 4.